Border Patrol officials said the smugglers have adopted the strategy of utilizing large groups to tie up agency resources in remote areas so that they can move drugs or other high-value cargo across the border in other locations. “Large busloads of individuals are being bussed up to the border and we don’t have any infrastructure in that area,” a Border Patrol officials told reporters on the call. The apprehension of Family Unit Aliens (FMUA) jumped by 290 percent in January 2019 compared to the previous year. Agents apprehended nearly 100,000 family units during the month along the entire southwest border, according to the January Southwest Border Migration Report. The El Paso Sector, which includes the New Mexico border and part of West Texas, witnessed a 1,588 percent increase over the previous January. 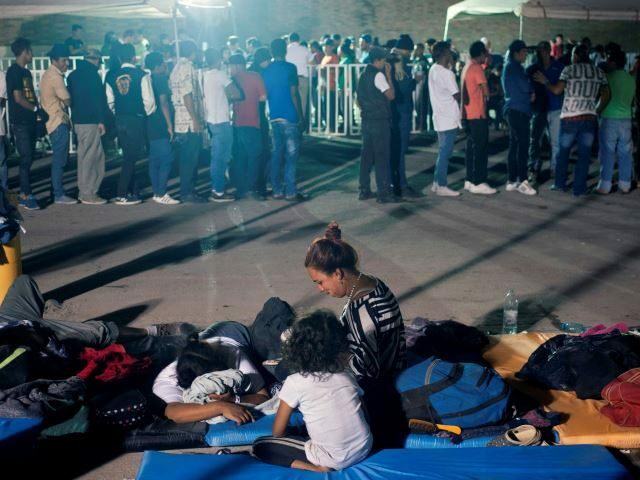 Officials reported that the largest number of families illegally crossing the border during the first four months of FY 2019 came to the U.S. from Guatemala (50,593). This is followed by Honduras (36,009) and El Salvador (9,146). Border Patrol agent apprehended a total of 103,509 Central American family unites in all of FY2018. In just four months this year, the apprehensions (95,708) nearly match the enter previous fiscal year.